Johannesburg- The National Union of Mineworkers (Numsa) has vowed to continue its legal challenge against the R56bn renewable energy contracts which were concluded this month between government and independent power producers (IPPs). In March, the labour union lost its bid to block the signing of contracts with 27 companies that will supply the country with clean energy for a period of 20 years. According to the union, the contract is costly and the entry of independent producers could potentially lead to job losses in the coal sector. 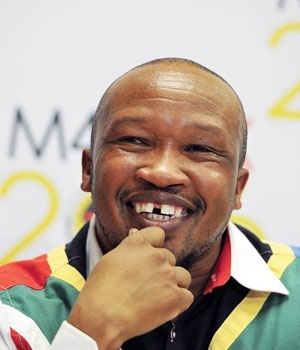 “The signing of these contracts was reckless, at a time when Eskom has excess energy capacity,” said Numsa secretary general Irvin Jim. Jim said the union has instructed its lawyers to take the IPP case for review, stating it only lost the urgent interdict in the North Gauteng High Court on a technicality. “Very soon we will be going to court to challenge the IPPs,” Jim told journalists. The renewable energy contracts, mostly solar and wind projects, form part of government’s energy mix programme. Numsa says the renewable contracts place some 40 000 workers in the coal sector at risk of losing their jobs. The bulk of South Africa's electricity is produced by the state-owned power utility Eskom from coal. IPPs are expected to add up to 30% of the country’s electricity production. Numsa claimed the connection of renewable energy to the national grid in 2016 led to a R9bn loss at Eskom.